In today’s modern and fast lifestyle we often find ourselves needing to be in three places at once. When there’s traffic, coffee shops become our saviors in providing a place to meet up, when our internet goes out or when we need a place to chill on a Sunday afternoon, there’s always freshly brewed coffee to make us feel at home. So how come these coffee shops became so essential to our daily lives? Why does each individual have a different coffee brand they call their favorite? And what attracts these people to those stores? A key piece of learning I will always remember from my final year studying marketing at university is that “a brand does three things: identifies, differentiates and commands a price premium, whilst also capturing the consumer’s head and heart”. When we say this we ultimately mean that a brand has to attain a sustainable competitive advantage in order to survive today’s increasingly competitive marketplace. Notice how these above 7 points fit in perfectly with the aforementioned university learning, we can see how the customer journey plays a pivotal role in a brand's success. So how can a brand stand out in a busy city, especially in a saturated market such as the coffee shop industry? Well this is where the customer journey fits in and most likely for many of the 7 billion people on this planet one word comes to mind: Starbucks. In every city whether it be London, Dubai or New York, Starbucks is a hub of creativity or is regarded as the ‘city’s living room’. For example, my sister is a pretty well travelled person having lived between Europe, Russia, Jordan and now Bermuda, her advice to me when living in a foreign country has always been: if feeling homesick, stressed or generally a bit down… always find yourself a Starbucks and go sit in it for a while. Why? “Well Starbucks is awesome as they are the same everywhere but with a local twist, you feel comforted, it makes you feel at home”. 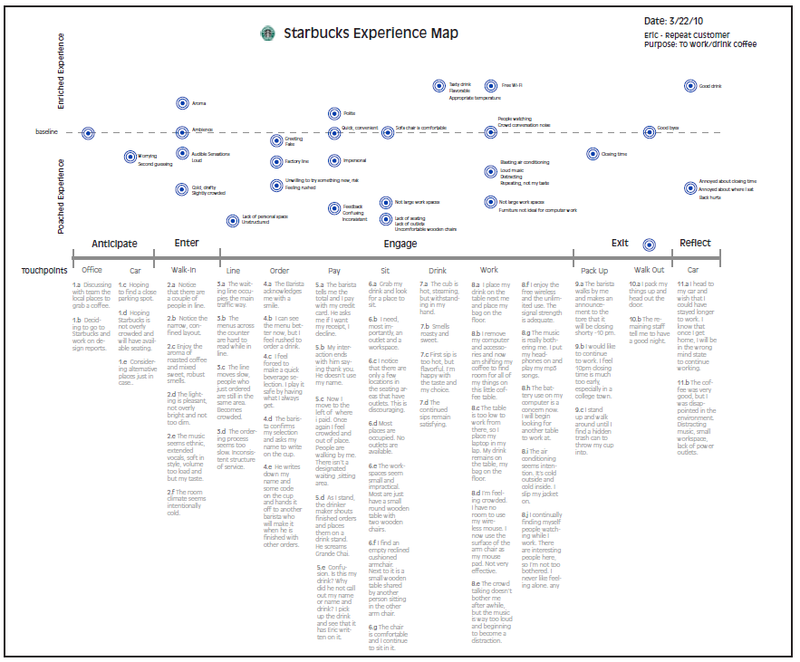 So where does Blue Hat fit into Starbucks and the customer journey? Well firstly we’ll forget all about Starbucks and replace it with one of our beloved clients DRAFT. DRAFT is a local Saudi brand developed by Saudi designer Wadha Al Rashid, which focuses on Interior Design, a Concept Store, and the recently launched DRAFT Cafe. Wadha came to Blue Hat seeking support in connecting with the DRAFT audience and turning her brand into a lovemark. and turn it into a creative hub in Riyadh? Blue Hat developed a design led strategy to help connect with the DRAFT audience and establish an emotional customer journey whereby the DRAFT customer interacts with different touchpoints of the brand. Seems like we’re seeing double! Who would you share these with? Tag your coffee soul twin. مع من ستتشارك كوب القهوة بالكراميل وطبق الحلا؟ منشن أغلى صديق عندك! Our visitor is blending in perfectly well with the store’s design-- as if all those quirky items were tailored just for her personal use. Drop us a visit and we’re sure you’ll find something in our inspirational corners. يبدو وكأن زائرتنا تنتمي بشكل مثالي في المحل عندنا. كأن القطع صممت فقط لأجلها. ماذا عنك؟ قم بزيارتنا، فمما لا شك به أنك ستجد كل ما تتمناه لتبرز هويتك. Happy National Saudi Day! We wish you a day filled with pride, inspiration and creativity. دام عزك يا وطن! نتمنى لكم يوم فرح مليء بالفخر الإلهام والإبداع. Our team is always there to serve your favourite caffeinated beverages with love and care. فريقنا مستعد دائماً لمساعدتك وتقديم مشروباتك المفضلة بحب وعناية. DRAFT’s strategy was positioned according to our research outcomes: high quality, a niche reputation, and tailored service, resulting in the establishment of an emotional customer connection. Given that coffee is a vital world commodity meaning that there are thousands of different coffee brands and shops around the world, the brands that want to survive need to attain their sustainable competitive advantage. A sustainable competitive advantage is a brand’s asset, attribute or ability that is not easily duplicated or replicated by its competitors. As we can see in the above two examples a customer journey is the key to identify, differentiate, and command a price premium whilst capturing the head and heart. Therefore, by adopting a customer journey certain brands will be able to survive in the competitive coffee industry. ... And of course stay tuned for the DRAFT website launch!